Where come from the Agualite ? The Agualite is the name given to her by AGUAGREEN granulate consisting of zeolites and polycrystals. Where does the zeolite, rock crystal ? 1756. The Swedish mineralogist Axel Fredrik Cronstedt discovered the first zeolite mineral, called Stilbite. It recognizes zeolites as a new class of minerals composed of alumino-silicate hydrates and alkaline earths. Because of its nature intumescent when this mineral is heated by a torch flame, Cronstedt called this mineral "zeolite". 1840. Alexis Damour observed that the zeolite crystals can be reversibly dehydrated without any apparent change in their morphology and transparency. 1845. Schafhautle reports the hydrothermal synthesis of quartz by heating a silica gel with water in an autoclave. 1850. Thompson Way and clarify the nature of the ion exchange in land. 1858. Eichhorn demonstrates the reversibility of ion exchange in zeolites. 1862. 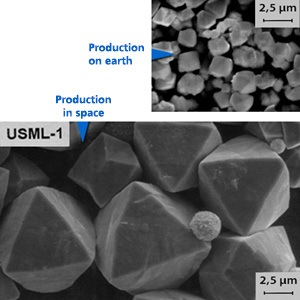 S. C.Deville reported the first hydrothermal synthesis of zeolite, levynite. 1896. After observing that various liquids such as alcohol, benzene and chloroform were occluded in the zeolite, Friedel develops the idea that the structure of the dehydrated zeolites consists of a spongy matrix ouverte.En 1909 Grandjean observed that the dehydrated chabazite adsorbs ammonia, air, hydrogen and other molecules. 1925. Weigel and Steinhoff relate the first effect of "molecular sieves" and noted that the crystal dehydrated chabazite quickly adsorb water, methyl alcohol, ethyl alcohol and formic acid but neither acetone nor the ether or benzene. 1927. Leonard describes the first use of X-rays for identification in the inorganic synthesis. 1930. The first structures of zeolites are determined by Taylor and Pauling. 1932. Mc Bain establishes for the first time the term "molecular sieve" to define porous solids that act as sieves on a molecular scale. In the mid 1930s, the literature describes ion exchange, adsorption, molecular sieves, structural and mineral properties of zeolites and reports the synthesis of many zeolites. Barrer began his pioneering work in the adsorption of zeolites and their synthesis. It offers the first classification, based on molecular size considerations. In 1948, he reported the first complete synthesis of a zeolite similar to the natural zeolite under the name mordenite (Wikipedia). The annual global production of natural zeolite is about 4 million tonnes, of which 2.6 million tonnes is used mainly in the cement industry in China. Eastern Europe, Western Europe, Australia, and Asia are the main producers and supply most of the market's natural zeolites. In 2004, North America produced only 57,400 tonnes of natural zeolite, only about 1.5% of world production (U.S. Geological Survey, 2004). Catalytic partial filtration to less than 10 microns, crystals completely natural rock, natural reduction of the hardness of the water, purifies the water of most residual pollution, convenient packaging protects the equipment deposits, no discards pollutants, safety, regenerates the water thanks to its mineral properties, fractal provides exceptional quality water, do not consume energy, works on the water flow, easy storage, 100% recyclable and reusable, low maintenance, biological process and direct participation in a clean planet.